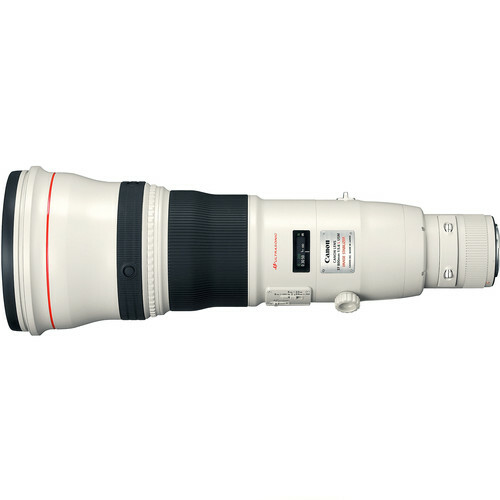 At the long end of Canon's L-series lens lineup, the EF 800mm f/5.6L IS USM is a super telephoto prime distinguished by its impressive reach and advanced optical design. Utilizing two fluorite elements, one Super UD element, and one ultra-low dispersion element, chromatic aberrations and color fringing is virtually eliminated and imagery exhibits notable clarity, sharpness, and color accuracy. A Super Spectra coating has also been applied to suppress flare and ghosting in order to achieve greater contrast when working in backlit and harsh lighting conditions. Beyond the optical attributes, the 800mm f/5.6 is also characterized by its advanced four stop-effective Image Stabilizer system, which has separate stabilization modes to suit various shooting applications. Also complementing handling is a sophisticated ring-type USM, which provides quick, quiet, and accurate autofocus performance along with full-time manual focus override. Additionally, this lens is weather-sealed for use in trying environmental conditions and it has a rotating tripod collar to benefit working atop a tripod or monopod. 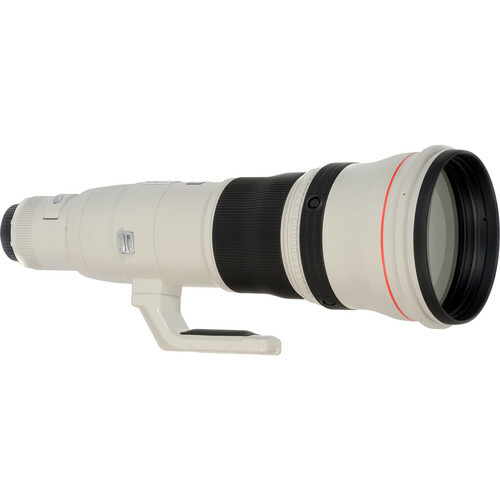 Super telephoto prime is designed for full-frame Canon EF-mount DSLRs, however can also be used with APS-C models where it provides a 1280mm equivalent focal length. Relatively bright f/5.6 maximum aperture affords control over depth of field for isolating subjects and producing selective focus imagery. Two fluorite elements, along with one Super Ultra-Low Dispersion element and one ultra-low dispersion element, are used to greatly reduce color fringing and chromatic aberrations in order to achieve greater clarity and color accuracy. 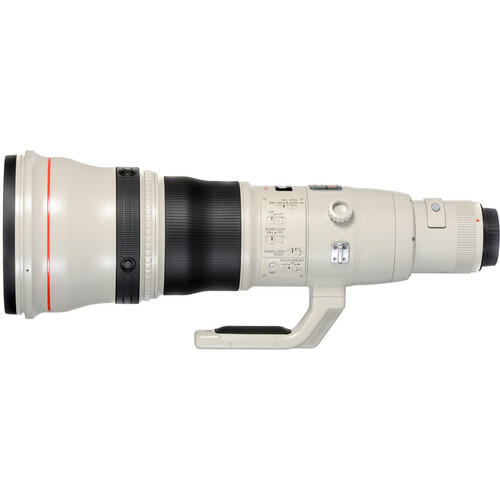 Focus Limiter switch lets you constrain the focusing to three different ranges to suit different applications: 19.7-65.6', 19.7'-infinity, or 65.6'-infinity. Fixed rotating tripod collar benefits working with the lens atop a tripod or monopod.